Size: Select Size12" x 12" x 17"
Best suitable for utilizing corner space. Brass Handicrafts Temple are one of the highly demanded products of today. 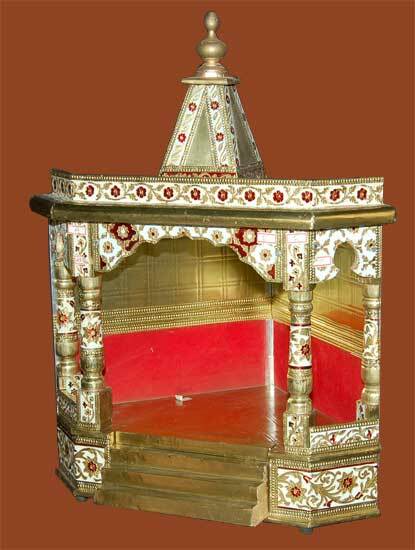 Brass handicrafts temple offer a comprehensive range of designs, which is reputed for its elegance, exclusive designs and long durability. Be it temple, decorative items or flower vases, you will find the brassy divinity at its best in every item that we offer in this range.